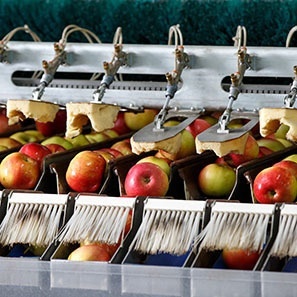 The Food Safety Modernization Act (FSMA), signed into law on January 4, 2011, has been hailed as a historic first overhaul of our nation’s food safety system in more than 70 years. The sweeping changes follow decades of food borne illness and import problems that have cost millions of dollars and eroded consumer confidence. The top-to-bottom reform is a part of the US Food & Drug Administration’s (FDA’s) plan to ensure food safety through a more proactive, rather than reactive, measure and will affect businesses at all levels of the production chain. One group that is significantly impacted by the law are food and beverage importers, which has already seen material changes to the entry process at Customs that began to take effect in early 2017. The changes are part of the FDA’s rule on Foreign Supplier Verification Programs (FSVP), mandated by the FSMA and codified in 21 C.F.R. 1.500 et seq., which provides that any domestic entity or agent of a foreign entity that offers food or beverages for import into the US is required to design and implement a verification program to ensure that the article has been produced and handled in compliance with FDA safety standards. Identify all known or “reasonably foreseeable” biological, chemical or physical hazards—for each type of food it imports. Assess the procedures and practices of its foreign suppliers. Develop and implement a supplier verification program tailored to each type of food to ensure that it complies with FDA safety standards. Undertake immediate corrective actions in the event a foreign supplier fails to comply. In effect, the FDA’s rule on FSVP shifts some of the accountability of food safety from the federal government and places the onerous instead on businesses to conduct a comparatively subjective analysis and keep each other in check. The compliance date for companies with over 500 employees began in May 2017 (with dates for others who are impacted staggered into 2019), and importers will need to adjust their practices to implement the changes. In doing so, the first step will be to identify who bears the ultimate legal responsibility under the FDA’s new rule. Food and beverages imported into the US can touch many hands before they reach Customs, and the legal responsibility to ensure that suppliers comply with the FSVP may fall on an entity in the supply chain that has no familiarity with food safety. Needless to say, the new requirements will mean significant changes and affected businesses can expect to encounter many hurdles along the road to compliance. Understanding the scope of FSVP as it applies to each business may just be one step in the process, but it is also perhaps the most important. For further information on trademark issues, please contact Randy Friedberg (friedbergr@whiteandwilliams.com; 212.714.3079) or Shruti Panchavati (panchavatis@whiteandwilliams.com; 212.631.4437) or another member of our Food and Beverage Group.